An ambitious 60 episode series based on characters from Marvel comics is to be filmed in New York as part of an exclusive content deal between Disney and Netflix. 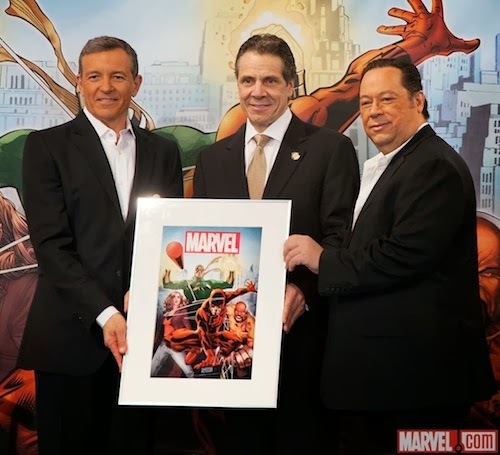 Governor Andrew M. Cuomo, The Walt Disney Company, Marvel and Netflix Inc. today announced that Marvel's landmark live-action television series, which will bring Marvel's "flawed heroes of Hell's Kitchen" characters to Netflix, the world's leading Internet TV network, will principally film in New York State. Produced by Marvel Television in association with ABC Television Studios, this groundbreaking series is Marvel's most ambitious foray yet into live-action television storytelling and represents the largest film or television production project commitment in New York State history. Daredevil will be the first series from Marvel and Netflix to film in New York City Filming is set to begin in the Summer 2014 and will create at least three thousand jobs in New York State including up to 400 full time jobs. The project will include nearly 60 one-hour episodes focused on the 4 Defenders characters: Daredevil, Jessica Jones, Luke Cage and Iron Fist. "New York is where the entertainment industry started, and this unprecedented commitment from Disney and Marvel is further evidence that we're bringing it back bigger and better than ever before," said Governor Cuomo. "And when the entertainment industry thrives, it fuels dozens of other industries and businesses. The competition for these projects is fierce and Disney could have chosen to film these shows anywhere, but they knew that shooting in New York means getting to work with the best in world. These shows bring New York's super heroes home where they belong--along with hundreds of jobs and millions of dollars in new business." "Since 2008 Disney has directly contributed almost half a billion dollars to New York's economy through television and film production, along with approximately 9,000 jobs for New Yorkers," said Robert A. Iger, Chairman and CEO, The Walt Disney Company. "The Governor's policies make this great state a more affordable and attractive location, opening the door for even greater economic investment and job creation for New Yorkers. Our Marvel series for Netflix will inject millions directly into the local economy and create hundreds of new jobs." "We thank the Governor and the great state of New York for helping us create the ultimate backdrop to this epic series. Setting our production in New York City truly underscores the authenticity and excitement we plan to bring to The Defenders and their 'flawed heroes of Hell's Kitchen' stories," said Alan Fine, President, Marvel Entertainment. Last November, Disney and Netflix announced an unprecedented deal for Marvel TV to bring multiple original series of live-action adventures of four of Marvel's most popular characters exclusively to the world's leading Internet TV Network beginning in 2015. This pioneering agreement calls for Marvel to develop four serialized programs totaling 52 one-hour episodes culminating in a four to eight episode mini-series programming event. Led by a series focused on "Daredevil," followed by "Jessica Jones," "Iron Fist" and "Luke Cage," the epic will unfold over multiple years of original programming, taking viewers deep into the gritty world of heroes and villains of Hell's Kitchen, New York. Netflix has committed to a minimum of four, thirteen episodes series and a mini-series event in which the Marvel characters from the first four series team up as "The Defenders," much like "The Avengers." This new original TV deal follows last year's landmark movie distribution deal through which, beginning with 2016 theatrically released feature films, Netflix will be the exclusive U.S. subscription television service for first-run, live-action and animated movies from the Walt Disney Studios, including titles from Disney, Walt Disney Animation Studios, Pixar Animation Studios, Marvel Studios, Disneynature and Lucasfilm. "The Defenders are classic New York characters; smart, resourceful and tough enough to always stand up for what's right," said Ted Sarandos, Netflix Chief Content Officer. "We're delighted they're coming to life on their home turf thanks to Governor Cuomo and his team." When Governor Cuomo took office in 2011, he made the attraction of the film and television production and post production industries, and jobs and the economic impact they bring with them, a key part of his overall strategy to grow New York State's economy. Since that time, he has signed into law several important changes to both programs to make New York more competitive in this global marketplace, and the results have been significant. Both programs enjoyed record-breaking years in 2013, bringing billions of dollars in new spending and thousands of jobs into the Empire State. The stability provided by multiyear funding has particularly encouraged the development of television series production work, like the new Marvel series, as well as long term investments in infrastructure, all of which creates thousands of jobs directly and indirectly related to the actual productions themselves. -Hire an estimated 128,165 actors and crew for the 183 projects submitted. John Ford, President, International Alliance of Theatrical and Stage Employees (IATSE) Local 52 said, "The men and women of the IATSE look forward to participating in this groundbreaking endeavor. Thanks to the vision of Governor Cuomo and the Legislature, the long term funding of the production incentives gives employers the comfort they need to invest in these new avenues of entertainment, which will provide thousands of new jobs with good wages and benefits." Thomas J. O'Donnell, President Teamsters Local 817 said, "Theatrical Teamsters Local 817 is thrilled that Marvel's newest television series will be filmed in New York. This long-term commitment is an incredible accomplishment that will bring not just jobs, but also stability to our members work and family lives." The final unaired season of The Clones Wars streams exclusively on Netflix this March in the US and Canada. The Lost Missions is an opening salvo in the company's exclusive deal with Disney, which includes live action series based on Marvel characters. The Lost Missions trailer distills the brilliance of The Clone Wars series. 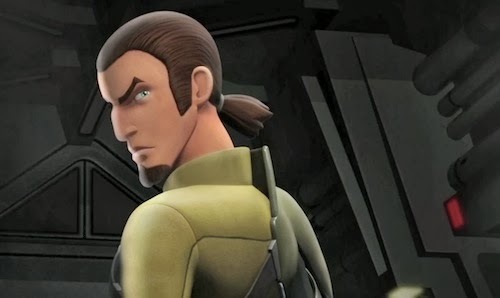 Will Star Wars Rebels be a worthy successor later this year on Disney XD? Microsoft is dropping the price of the Xbox One. From 28 February, the Xbox One will cost £399.99 in the UK, £30 cheaper than on launch. "At Xbox, we believe there’s never been a better time to join the new console generation. To help our fans do just that, Xbox One will be available at the new UK estimated retail price from 28 February," said Harvey Eagle, marketing director of Xbox UK. "And while supplies last, fans will also get Titanfall – the most anticipated game of the year – included in the box." Xbox One is lagging behind Sony's PS4 in sales and a Titanfall pack-in is a no-brainer. Will Titanfall sell Xbox Ones? Clearly Microsoft thinks so and the company has made much of the platform exclusive from Electronic Arts. This makes commercial sense sans Halo 5 and bodes well for the new IP. As someone who has forgone an Xbox One in favour of PS4, I'd be interested to know readers thoughts regarding this development. Please leave a comment below. The Xbox One Titanfall bundle can be pre-ordered now. 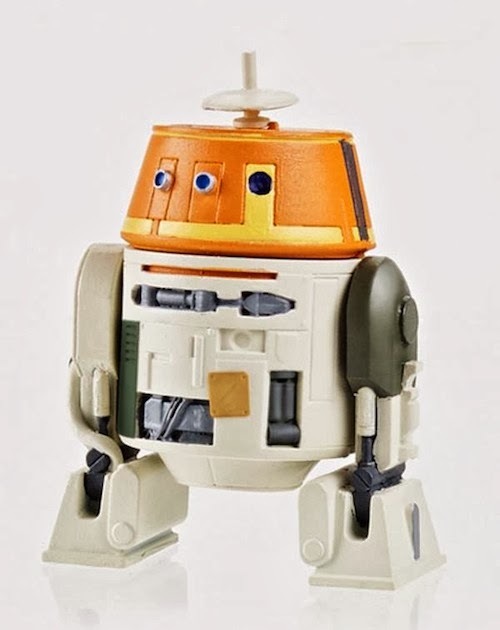 Remember Heroes? A cult sci-fi series that burned brightly for one season before fading into self-parody and added the phrase "Save the cheerleader, save the world." to the lexicon of pop culture. 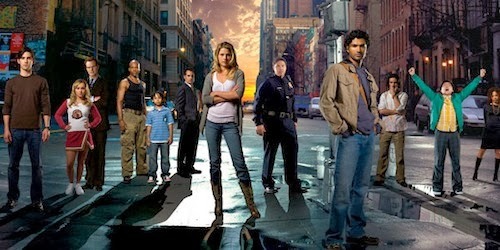 Those fine folk at NBC are rebooting Heroes for a 13-part mini series in 2015. 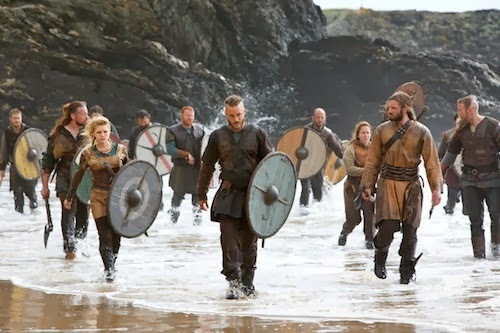 "Shows with that kind of resonance don’t come around often," said NBC Entertainment president Jennifer Salke in a statement, "and we thought it was time for another installment. "Until we get closer to air in 2015, the show will be appropriately shrouded in secrecy, but we won’t rule out the possibility of some of the show’s original cast members popping back in." Creator Tim Kring is on board for Heroes Reborn, but details are scarce. Following yesterday's mouthwatering teaser, Marvel premiered the first full length trailer for Guardians of the Galaxy during Jimmy Kimmel Live. Frankly, this looks awesome. 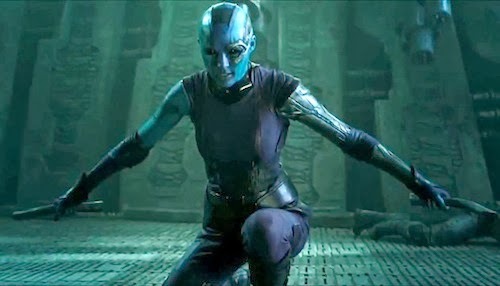 Doctor Who's Karen Gillan stars as a very ferocious Nebula. The Time Lord's companions are not new to the Marvel Universe and eagle-eyed fans will recall Jenna Coleman's cameo in Captain America: The First Avenger. Lucasfilm is to open a new ILM facility in Soho, London, and will make its Vancouver outpost permanent. The London-based FX house will primarily focus on Disney's two tentpole movies for 2015: Avengers: Age of Ultron and Star Wars: Episode VII, which will purportedly be in post-production for a year. “We’re thrilled to have a good-news story in this industry. We’re in a very healthy place,” said ILM president and general manager Lynwen Brennan. The Hollywood Reporter quotes ILM president Lynwen Brennan as saying the new facility will be "a full service studio" with an "end-to-end visual effects and computer graphics pipeline". The severe weather conditions in the UK has delayed filming of Avengers: Age of Ultron. 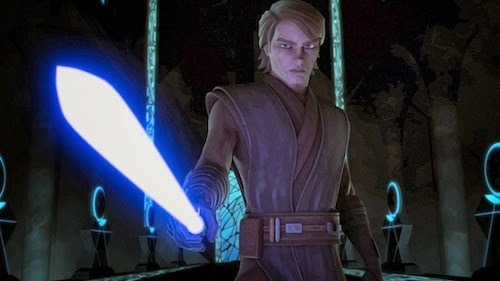 From this March Netflix will exclusively stream the unaired The Clone Wars final season in the US. No word on whether or not this applies to the UK too. Avengers: Age of Ultron is set to open in May 2015, while Star Wars: Episode VII will be released in December that year. Disney CEO Bob Iger confirmed that Captain America: The Winter Soldier will tie into both Avengers: Age of Ultron and the Agents Of S.H.I.E.L.D. TV series. Stopped watching Agents of S.H.I.E.L.D. after episode 2! Perhaps it's time to revisit? 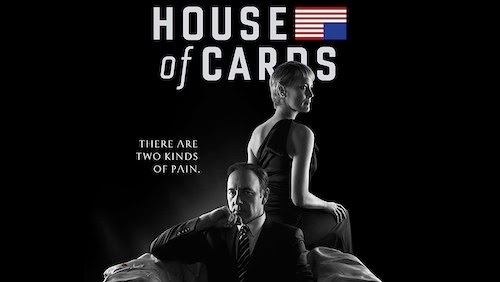 Season 2 of the award-winning House of Cards is available to stream from February 14th, and Netflix has already announced a third season starring Kevin Spacey and Robin Wright as the scheming Underwoods.